Herbalists say that the Creator of the universe has marked everything with a sign, or “signature” of the purpose for creation of that item. Many foods have patterns that resemble body organs. 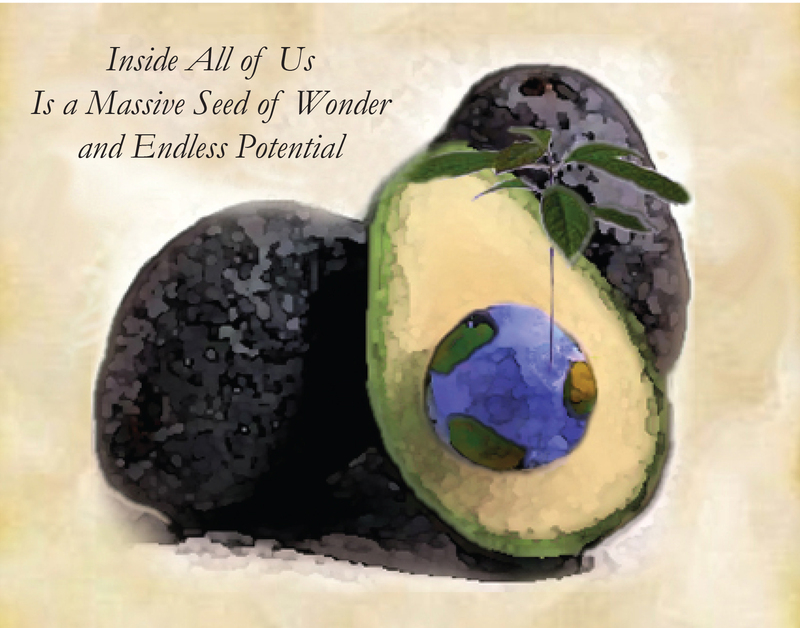 Avocadoes target the health and function of the womb and cervix of the female – they look just like these organs. 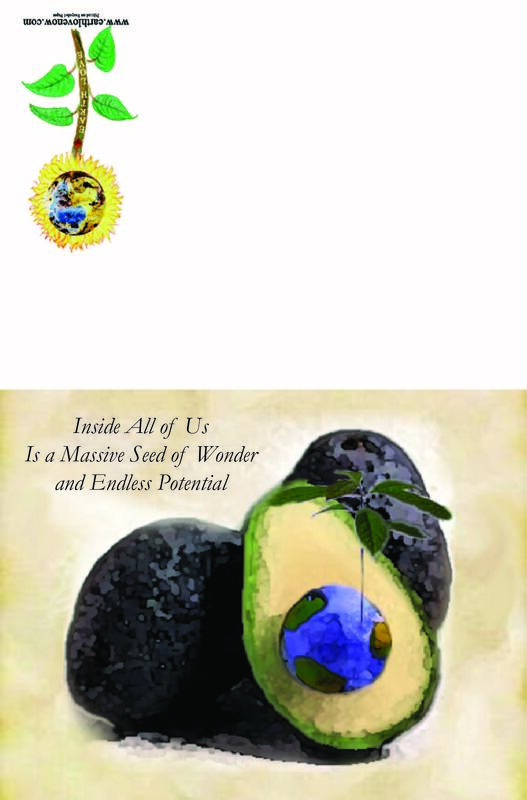 The ancient Aztec’s called the avocado “The Fertility Fruit”. Today’s research shows that when a woman eats 1 avocado a week, it balances hormones, sheds unwanted birth weight and prevents cervical cancers. And how profound is this? It takes exactly 9 months to grow an avocado from blossom to ripened fruit. 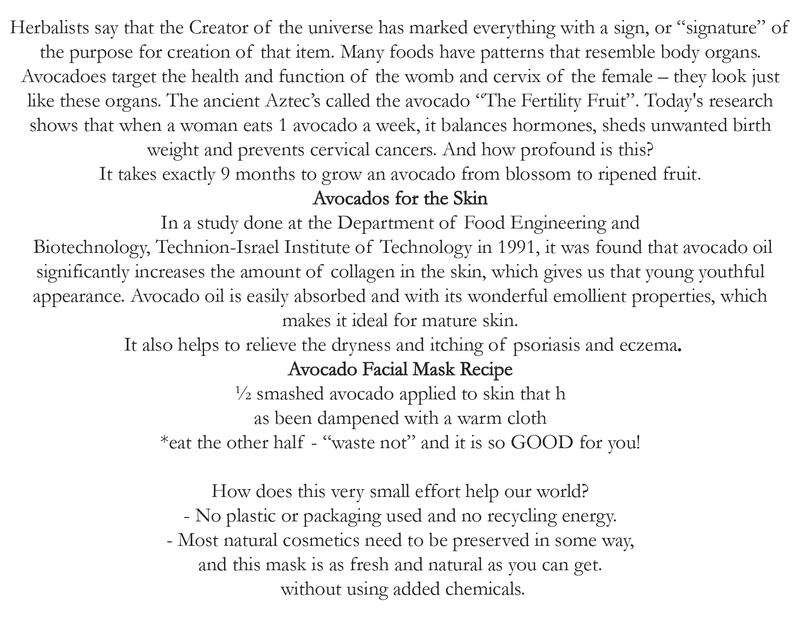 Biotechnology, Technion-Israel Institute of Technology in 1991, it was found that avocado oil significantly increases the amount of collagen in the skin, which gives us that young youthful appearance. Avocado oil is easily absorbed and with its wonderful emollient properties, which makes it ideal for mature skin. It also helps to relieve the dryness and itching of psoriasis and eczema. *eat the other half – “waste not” and it is so GOOD for you! How does this very small effort help our world? – No plastic or packaging used and no recycling energy. and this mask is as fresh and natural as you can get.